In the heartland of Missouri, midway between St. Louis and Kansas City, lies The Club at Porto Cima. Purpose-built with the vision that this resort destination would be both the finest golf community while also being the finest boating community, this membership-based resort offers private vacation living in luxurious style. Designated as part of the Four Seasons experience at the Lake of the Ozarks, fractional ownership resales and rentals are a rare and fortitudinous find in the secondary marketplace. The 18-hole championship-quality golf course at The Club at Porto Cima is an exclusive Jack Nicklaus design. This signature Nicklaus design is the only golf course in the state to have earned this distinction, based on Jack’s involvement in every step of the course design and construction. For water sports, The Club at Porto Cima Yacht Club offers a marina clubhouse, a swimming pool, poolside dining, tennis, and member docking. The resort community also features a men’s and women’s fitness center, and fine and casual dining, both at the yacht club and the golf course clubhouse. Whether you choose a waterfront or golf course vista, your villa at The Club will provide you the ultimate in shared ownership vacationing. The Private Quarter’s Club at Porto Cima is a fractional membership/ownership experience, where many units provide access to the fairway on the 18th hole. Typically, fractional ownership resales at this property provide either fourteen or twenty-one days of usage annually, and include the same privileges as those of a Full Golf Membership during your time at the resort, and the same privileges as those of a Social Membership when you are not occupying your Private Quarter’s Club villa. 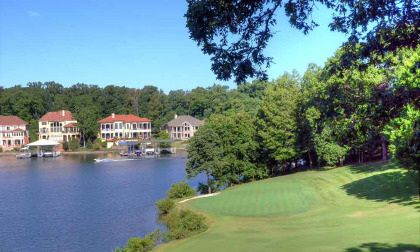 Other options within this golf and lake community are the upscale private vacation homes, many developed by Four Seasons Homes, Missouri’s luxury homebuilder. Nestled throughout the 3,000-acre property, The Club is designed for up to 1800 residences. Developments within the community include the Mediterranean-inspired townhouses at Via Bacino, the Villas La Cresta townhomes and patio homes near the golf course and The Yacht Club, Punto Piloto waterfront townhomes on the peninsula, Bello Point and Magnolia Point waterfront townhomes and lakeview patio homes, and Porto Cima, with lakeview townhomes on the #7 green. Contact Club at Porto Cima, The Specialist Today!